BSNL has a wide-range of prepaid plans in all the 19 circles where it has operations. 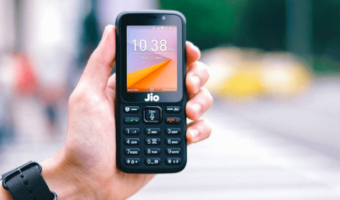 To take on the Rs 509 prepaid recharges from private telcos such as Vodafone Idea, Bharti Airtel and Reliance Jio, the telco had rolled out a Rs 485 prepaid plan last year. 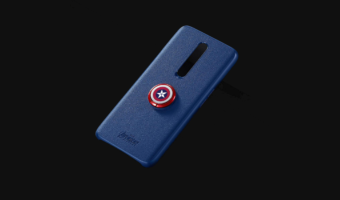 This prepaid plan used to offer 1.5GB data per day for 90 days, however, as part of the company’s Bumper Offer, it’s now shipping with 3.71GB daily data for the same 90 days validity period. BSNL has its operations spread across 19 telecom circles except for Delhi and Mumbai circles, but this offer is not applicable in Kerala. In Kerala circle, Bharat Sanchar Nigam Limited has rolled out an additional 0.5GB data offer on the same plans as the Bumper Offer. So in Kerala circle, the Rs 485 plan comes with 1.5GB data per day. BSNL customers in Kerala circle have complained about the offer’s absence for a long time now, but finally, they have something to cheer about. This Bumper Offer is applicable on Unlimited Plan Vouchers of Rs 186, Rs 429, Rs 485, Rs 666 and Rs 999. All these tariff plans offer unlimited voice calls without any FUP limit to any network across the country, except for mobile numbers in Mumbai and Delhi. However, the data benefit and validity of the plans differ. The Rs 186 prepaid plan gives 1GB data per day for 28 days; Rs 429 plan offers 1GB daily data for 81 days; the Rs 485 prepaid plan delivers 1.5GB data per day for 90 days. The Rs 666 prepaid plan comes with a benefit of 1.5GB data per day for the first 129 days and lastly, the Rs 999 plan gives 1GB data per day with an after FUP speed of 40 Kbps for the first 181 days. Under this revised Bumper Offer, all these prepaid plans now offer 2.1GB additional data on top of the benefit mentioned above. But the validity of the plans will remain the same. The Rs 186 plan under this offer gives a total data benefit of 3.1GB per day for 28 days. The Rs 666 prepaid plan, as part of this offer, comes with 3.6GB data per day for a period of 129 days. The Rs 485 prepaid recharge ships with 3.71GB data per day for a period of 90 days. To recall, BSNL earlier offered Extra Data Offer on the plans mentioned above. The Extra Data offer, which the telco introduced on August 17, 2018, ended on September 15, 2018, which is the reason why the telco started this Bumper offer in September. Under the Extra Data Offer, BSNL offered additional 2GB data per day on top of the existing plan benefit. Same as the Unlimited Plan Vouchers, BSNL also has five Unlimited STVs offering similar benefits. BSNL has a total of five Unlimited STVs- Rs 187, Rs 333, Rs 349, Rs 444 and Rs 448. The newly launched yearly plans of Rs 1,699 and Rs 2,099 are also eligible for this offer. 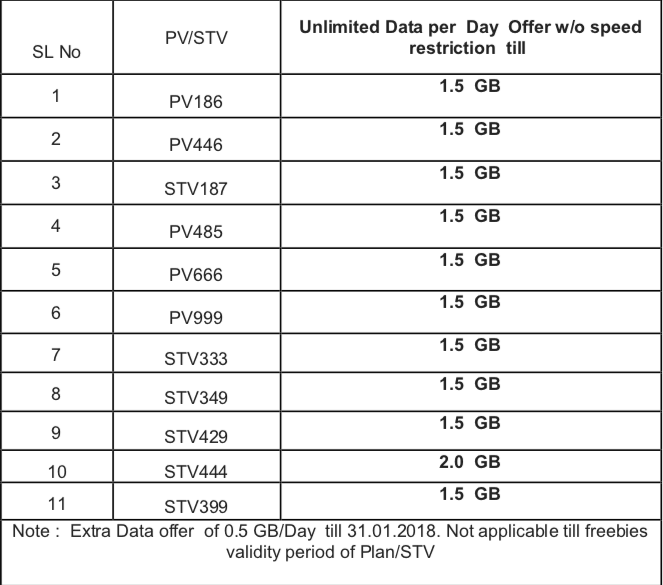 The free data per day on the Unlimited STVs is to be incremented by 2.1GB per day. 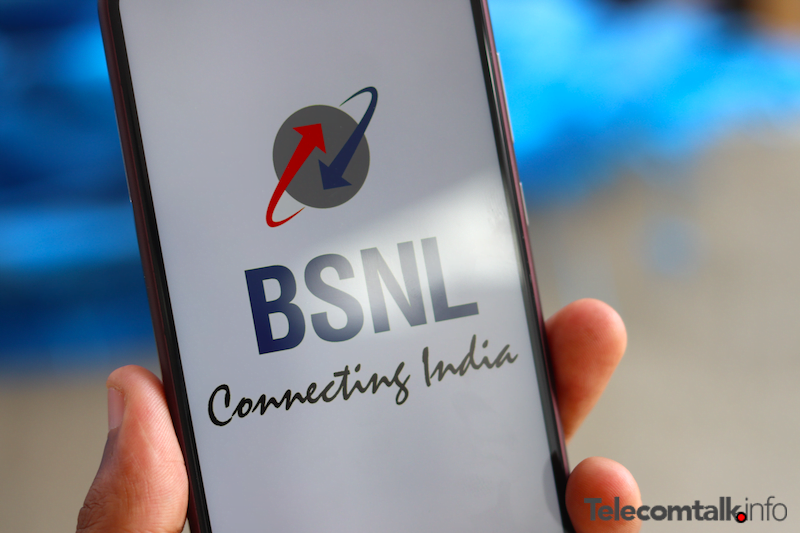 BSNL’s Rs 187 prepaid recharge offers 1GB data per day for 28 days, but as part of the bumper offer, the plan will offer 3.1GB data per day for 28 days. Under the newly introduced Bumper Offer, the Rs 333 prepaid plan gives a user 5.1GB data per day; the Rs 349 plan offers 3.1GB data per day, followed by the Rs 444 plan which now provides 6.1GB data per day. Lastly, the Rs 447 Unlimited STV from BSNL offers a user 3.1GB data per day under the Bumper Offer. As noted, BSNL’s Bumper Offer is not valid in Kerala circle, which is underwhelming. But the telco has rolled out an Additional Data offer in the said circle and providing 0.5GB additional data on top of all the unlimited combo STVs. In Kerala, the PV186 prepaid recharge now comes with 1.5GB data per day. 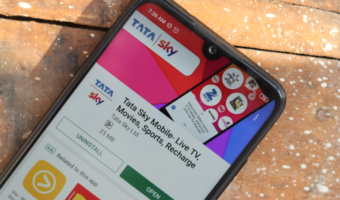 The extra data offer in Kerala circle is valid until January 31, 2019. Check out the image above for plan-wise details. Jio speed is worst during whole day. Jio speed is good during morning only. Network has deteriorated . Agree 100% on Jio as their speed is far below BSNL. But they attend customers & their dilemma & coming up withh new new lucrative offers to lure the customers. In this field BSNL is blank sitting tight & no having any priority for customers . Sad indeed. Such a big infra structures but operated by qualified non-dedicated workforce.